You can always buy someone flowers or a card but there is something to making your own gifts that just give it that special meaning. 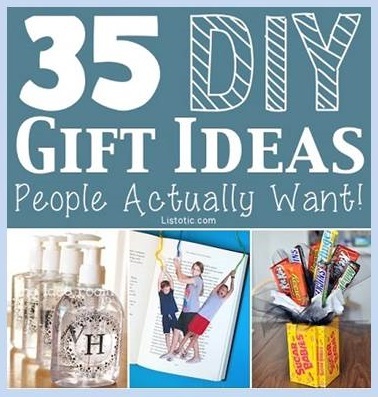 Here is a fantastic roundup on 40 35 Easy DIY Gift Ideas Everyone Will Love and that you are going to have fun making. Have a look through this list and get started today. This is a very easy project and a fun one to do with the kids. Be aware if you are working with small children it may be best to not use the hot glue gun. (any glue will work it just may take longer to set) Otherwise I do find that a hot glue gun works best. 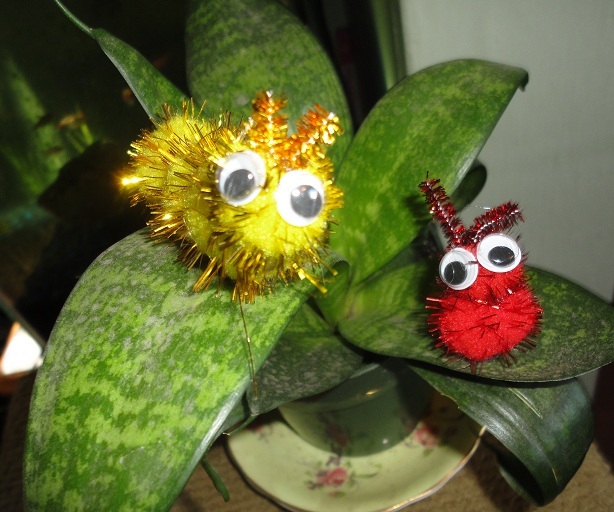 To make your bugs take any small pom poms and glue googly eyes on one of them. Cut a very small piece of pipe cleaner and fold the piece in half. Glue this piece just above the eyes to be used as an antenna. Now this is where your imagination kicks in. You could use this as the head and add another pom pom or add a few pom poms and make a caterpillar. To add more pom poms just add a drop of glue and glue them together. Once you have finished making your bugs and they have been allowed to dry you will add a magnet to the bottom of the bug with another drop of glue. Once this is completely dry you then can put this bug on your plant. Use a second magnet on the underneath part of the leaf and match up the two magnets (plant leaf in between). You can also do this with magnets to other bug ideas, it does not have to be just pom poms. Enjoy your new creepy crawlies.